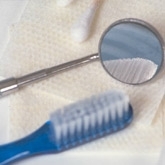 At DentalPlans.com, we make it simple for you to find an affordable dentist in Torrance, CA. Enter your ZIP code above to view the discount dental plans and dentists available in Torrance. Decide on the right plan for your needs and get deep discounts when you visit a participating dentist like Dr. Purnell G Davis. Then, just go see Dr. Purnell G Davis or any other participating dentist in Torrance, CA to save money on General Dentistry and more. Discount dental plans are alternatives to dental insurance plans that will offer you discounts on General Dentistry and other dental care services. The DentalPlans.com dentist directory features an enormous selection of general dentists, orthodontists, oral surgeons, periodontists, pedodontists, endodontists, and prosthodontists! So if you want discounts on oral exams, cosmetic teeth whitening, braces (orthodontics), root canals, crowns and more, we can easily help you find a dentist or dental care specialist in Torrance, CA.